Slaystation is creating Guides, Playthroughs, Reviews, YouTube videos and more! While I don't really expect anyone to contribute, I'm very grateful for any tip - no matter the amount - and I can't even begin to express my gratitude for the feedback you give after reading my blog or watching my videos! The fact that you've even considered coming here is amazing! 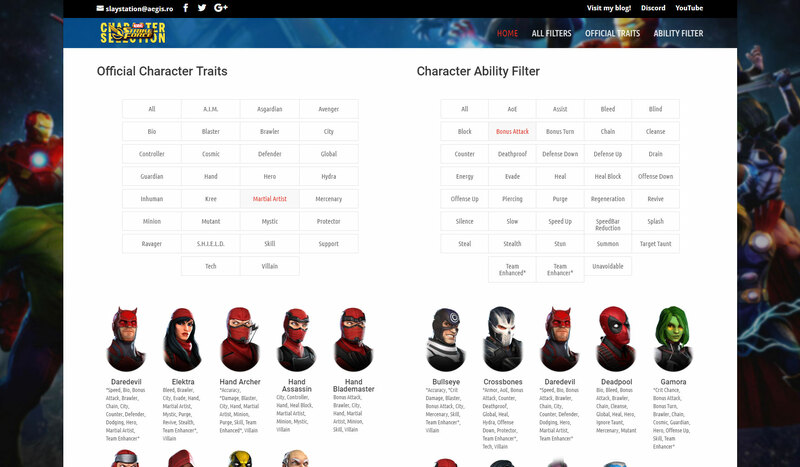 As you may know, I've been posting Marvel Strike Force guides on my blog at aegis.ro since the game was launched globally, and I've also created a custom character filter at msf.aegis.ro to help those interested in team-building and theorycrafting. I regularly upload a lot of gameplay footage on YouTube, some in support of my blog posts but mainly covering Marvel Strike Force and Star Wars Galaxy of Heroes events. I also stream almost any PC games I play on YouTube, Mixer and Twitch - and I feel almost compelled to specify Heroes of the Storm here. As I mentioned, I'm very grateful for you support which will help with the upkeep of my domain, hosting and many other collaterals involved! You will receive the special "Stationary Slayer" role on my Discord server! As soon as I reach 30 patrons I'll upgrade my hosting plan or move to a different provider for better loading time!